Tonight, LG has continued its tease of the set of features they hope will help their next phone, the LG G8 ThinQ, standout from a crowded field. After first revealing its special selfie camera, LG now says that the OLED display used in the G8 is going to bring a cool new sound trick. 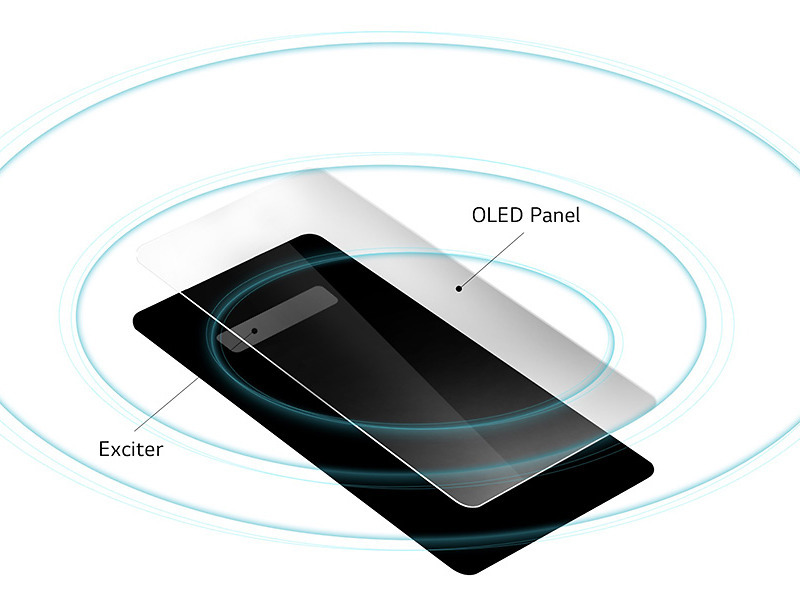 The OLED display used in the G8 is called a Crystal Sound OLED (CSO). It’s an in-house tech developed by LG that repurposes the display in the phone to act as a diaphragm, allowing for vibrations from the surface of the phone to produce sound, improving clarity and making voices “easier to discern,” LG says. If you were to use the G8 in speakerphone mode, you’ll get bass through the bottom speaker. With CSO, you also get 2-channel audio. Not impressed by vibrating displays? In other LG G8 audio news, we’ve got DTS:X 3D Surround Sound, the return of the HiFi Quad DAC, MQA support, and the Boombox Speaker that we first saw in the G7. Again, the LG G8 is coming at MWC at the end of this month.